After our super success at London 2012 (we are allowed to say that now, right?) every brand under the sun has been trying to affiliate themselves to the grand games. And good for them, but in my eyes none have done it quite as well as Yorkshire tea. If you haven’t heard (and that’s very unlikely seeing as them from up Norf have been banging on about it for days) if Yorkshire had been competing as country, they’d be something like 7th on the medals table. Pretty impressive. 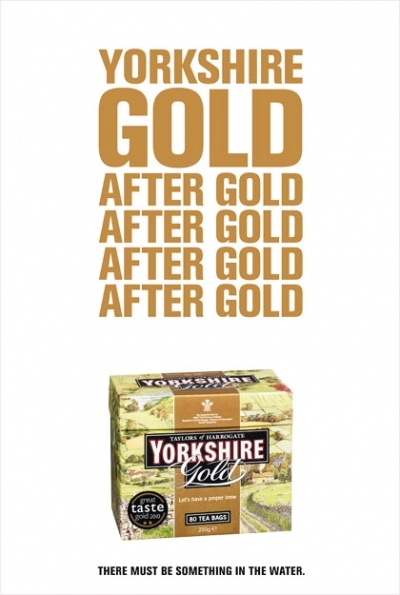 But Yorkshire tea have gone one further and struck gold with this great ad. Gallery | This entry was posted in Copy, Food & Drink, PR, Press & Poster and tagged Advertising, Copy, Inspiration, London2012, PR, press, Yorkshire tea. Bookmark the permalink.